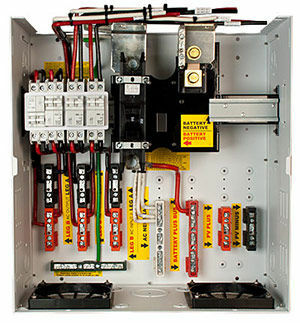 These E-panels from Midnite Solar are specifically built to work with the new XW Plus inverter/chargers from Schneider. Both of the available versions—a 175 amp or 250 amp main breaker—match the white powder coating of the XW Plus inverters. These versions of Midnite's E-panels are built to mount directly below the inverters.